2018-19 Fundraiser will be a BoosterThon Fun Run. Fundraising dates are Sept. 4-Sept. 13, with the run on Thursday, Sept. 13. Troy and Nichole attended a “virtual luncheon” with the BoosterThon people on February 7 and learned even more about the program. Next steps are selling ads for the BoosterThon T-shirts. Nichole is in charge of that. Dr. Seuss Night is March 1st from 6:30-8:00pm. The Ivan raffle is also that night--$1 for one ticket or $5 for 6 tickets. We will use Ivan to help us tell our story at the Board of Education’s “Focus on the Students” on May 14.  How could “Muffins With Mom” or “Donuts with Dad” work at Grant? We discussed our recent fundraiser. Final profit totals will be available next month. We were pleased with the delivery of the food and pickup went smoothly on Nov. 2. We were somewhat disappointed with the lack of customer support we received from this company. We will look into another company--BoosterThon--to see if we'd rather work with them next year. Lincoln Montessori is selling pasta right now as their fundraiser; we may check with them to see how their fundraiser went. Next meeting is December 4. We will also discuss the possibility of hosting a Family Science Fair in the spring. Fundraiser: We sold 610 items, grossing $9.669.50. Of that, our PTO should receive $5,801.70. *Mrs. Morgan’s Class has won the Pizza Party. We also discussed the possibility of doing a “Fun Run” in 2018, either on our own or using a company such as Booster-thon. Mrs. Mather is working on replacing the soccer nets. She has the sizes/dimensions. Mr. Berryman will contact Mrs. Mather and get those dimensions and possible place to purchase them. Halloween treats. PTO will again provide glow sticks for students before Halloween. We will count out glow sticks for each classroom and give them to the kids on Oct. 24. Dates were confirmed for upcoming PTO events. An idea was discussed to have a “Family Science Fair” sometime in the spring. Families who choose to participate would be asked to complete a science-fair-type project and allow it to be seen/discussed at a Science Fair-type atmosphere. Next meeting: November 6, 2017. 6:30pm in the library. Replacing the soccer nets on the playground. Troy said he would talk to Dani Mather and the playground committee about this. Landon Mefford suggested that we contact the YMCA to see if they could help us with replacement nets. Our Grant fundraiser kicks off on September 15 and runs through September 25. Students will bring a catalog and information home on Sept. 15. There are many items to choose from, from food to wrapping paper to candles. Our goal is to have every student sell 12 items to friends, neighbors, or relatives. There is also an opportunity to have people buy online at www.gaschoolstore.com. Our online store ID is 2236032. Items will be delivered on November 2. We will need some parent help with unloading and organizing the items for pickup.We will talk about that more at our October meeting. PTO wants to look at creating a better display in our flower pots in front of the school. Nichole will look at the possibility of artificial flowers/plants that would eliminate care such as watering and weeding. The idea of small, inspirational signs in each flower pot was also discussed. Also, if we want to have real flowers/plants in the pots, we need to make that decision and get them planted in late July or early August so people can enjoy them in the late summer and fall.